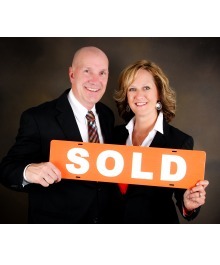 Sold a Single Family home in 2019 in Neenah, WI. Sold a Single Family home in 2016 in Hortonville, WI. Bought and sold a Single Family home in 2018 in Erb Park, Appleton, WI. Bought a Single Family home in 2017 for approximately $100K in Appleton, WI. Bought a Single Family home in 2017 for approximately $150K in Appleton, WI. Bought a Single Family home in 2015 in Appleton, WI. Bought a home in 2016 in Sherwood, WI 54169. Sold a Single Family home in 2015 for approximately $150K in Appleton, WI. Bought a Single Family home in 2015 for approximately $350K in De Pere, WI. Bought a home in 2015 in Greenville, WI. Bought a home in 2014 in Shirley, De Pere, WI 54115. Sold a Single Family home in 2014 for approximately $175K in Elvehjem, Madison, WI. Bought a Single Family home in 2014 for approximately $275K in Sherwood, WI. Bought a Single Family home in 2014 for approximately $350K in Appleton, WI. Bought a Single Family home in 2014 for approximately $225K in Sherwood, WI. Bought and sold a Single Family home in 2014 for approximately $250K in Freedom, WI. Bought a home in 2014 in Townsend, WI 54175. Showed home in 2014 in Appleton, WI. Bought a Single Family home in 2013 for approximately $100K in Kimberly, WI. Bought and sold a Single Family home in 2006 for approximately $475K in Black Creek, WI. Bought a home in 2013 in Huntley, Appleton, WI 54914. Sold a Single Family home in 2012 for approximately $125K in Appleton, WI. Sold a Single Family home in 2012 for approximately $175K in New London, WI. Bought a Single Family home in 2012 for approximately $150K in Peabody Park, Appleton, WI.